What exactly is Enterprise mobility management? To put it in generalised terms, it’s a collection of tools that are essential to ensure that a business can organise and install a system to secure and manage policies, devices and applications within today’s mobile workforce, a workforce that consists of BOYD and flexible working patterns. Today’s business is a market place that is changing rapidly, and there are several factors that are predicted to cause disruption and in the next 2 years and there needs to be a different approach to these factors. Increasing importance of compliance, risk and governance. The arrival of EMM IT management system. With future development, companies will have to respond to these factors, and opportunities will be created for or technological experts to develop responses and adapt management systems to meet the new sets of needs. EMM addresses new sets of challenges; we know the market is changing alarmingly fast, and changes are so distinctive and fluid that there is no one best provider; it depends on your needs. Whitehall media events are an opportunity for the top companies to come and exhibit and share their information, findings and products that are available for providing the answers that are needed. 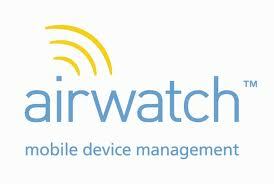 AirWatch and MobileIron can address some of the widest concerns through a single source. You will probably find that you will require a blend of device management and application management often from different companies to give you the answers you’ll need. EMM is on the tip of everyone tongue; companies are seeking safe ways to allow users, (mainly employees), to access data “outside” of the office. What companies want is the ability for enterprise to go mobile to allow all data driven applications to be quickly and easily built. This, plus other marketplace factors are discussed at our events, and there is additional information about up-and-coming events on our site.